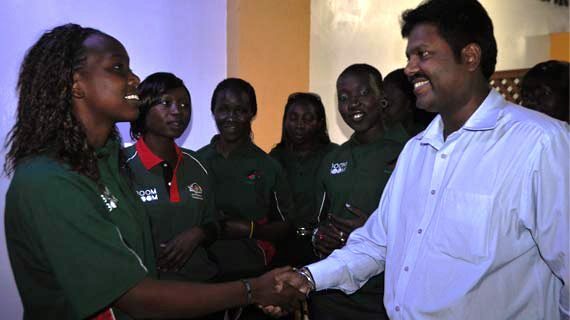 Kenya national women cricket team captain Emily Ruto has passed on. Ruto lost her battle with illness on Friday morning in Nairobi while undergoing treatment at the Aga Khan Hospital.She was daughter to Bomet Governor Isaac Ruto who is also the chairman of the Council of Governors. Until her untimely death, Emmy was an electrical engineer with Geothermal Development Company, Nakuru. At michezoafrika.com we send our condolences to the family and friends of the dedicated Kenya team captain, “I have known her personally and we met in a number of occasions during sports events and it is with deep shock that we learn of her transition. This is a sad time for Kenya as we have lost one of the dedicated women sports icons of modern time. We wish the family, relatives and friends strength at this time of mourning.” Said Michezoafrika’s editor Dennis Machio.